Despite raucous opposition, Berkeley city leaders Tuesday night gave final approval of a ban on overnight parking of recreational vehicles. The City Council voted 6-3 on Feb. 28 to approve the ban and gave the final approval at Tuesday night's meeting. The RV ban took effect immediately. 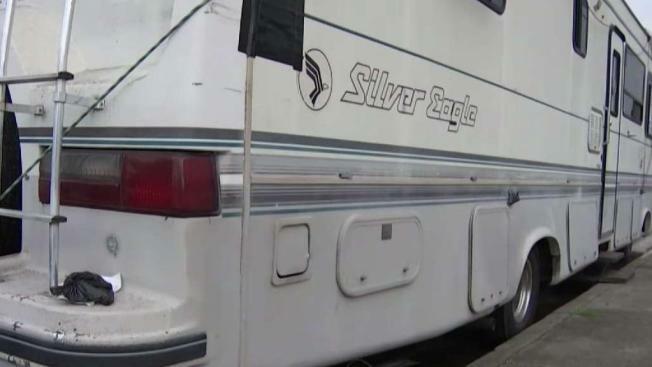 The ban prohibits RV parking on city streets between 2 a.m. and 5 a.m., but the city also agreed to create a permitting system that would give two-week exemptions to some RVs. Many ban opponents at Tuesday night's meeting carried signs and chanted in protest. Among those were hundreds of homeless right sactivitst as well as Berkeley residents. One proposal offered up was not allowing an eviction until city staff offers to help find alternative housing. In a letter to Mayor Jesse Arreguin and Berkeley council members, Oakland City Council President Rebecca Kaplan urged the city leaders not to give final approval to the ban and instead "refocus on identifying viable alternative sites for RVs."